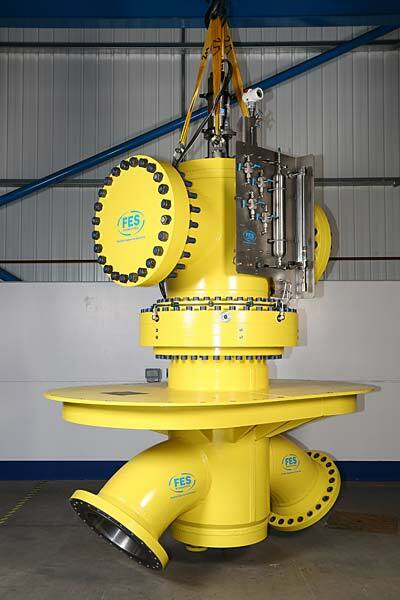 Supplier of fluid transfer systems to the oil and gas offshore industry, Flexible Engineered Solutions International (FES), has developed new technology for a major manufacturer of marine equipment, based in China. The CALM Buoy Swivel, which is fully certified by DNV GL includes new swivel technology which allows the buoy to rotate while maintaining a leak-free joint between the subsea pipe lines and vessel during the transfer of fluid. Because it enables the replacement of seals on board without the requirement to bring the main buoy into a repair yard, the new swivel will significantly reduce maintenance downtime for the CALM Buoy, avoiding it being offline for long periods of time. It has an integrated electrical slip ring to allow electrical cable connections from subsea to topside. The new patented technology will be delivered in January 2017 to China as part of a contract awarded to FES 12 months previously.